People's Rally for Progress party member and President of the African Republic of Djibouti. He won the 1999 Djibouti presidential election by a landslide, earning over seventy-four percent of the total vote. As a young man, he trained with both the French and Somali Secret Services and went on to head the Djibouti Secret Police. 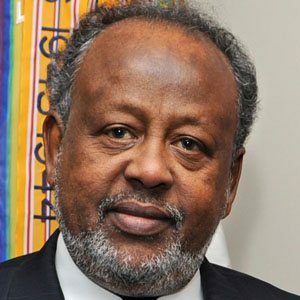 Despite a series of protests, he successfully secured a Djibouti constitutional amendment that allowed him to serve a third term as president. He married Kadra Mahamoud Haid. They have two daughters together. His uncle, Hassan Gouled Aptidon, served from 1977-1999 as first President of Djibouti. Meles Zenawai held office as Prime Minister of Guelleh's native Ethiopia during the same period in which Guelleh served as Prime Minister of Djibouti.